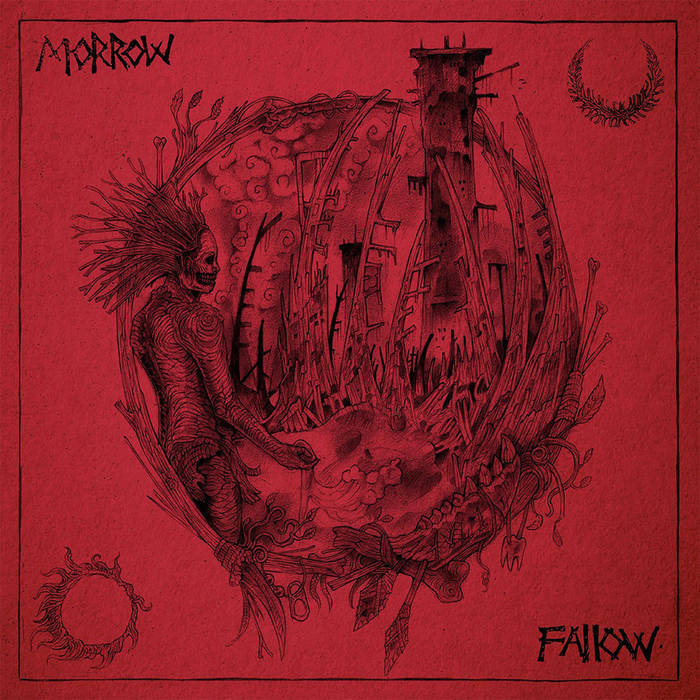 Morrow is an international music collective featuring members of Carnist, Archivist, Anopheli, Wildspeaker, Monachu, The Nepalese Temple Ball, Knifedoutofexistence, and Masakari. Morrow formed in 2016 and play an intense style of music that can best be described as being a mixture of emotive crust, neocrust, and dark folk music accentuated by cellos. Since forming in 2016, this six piece collective have released a four song LP titled Covenant Of Teeth in April of 2016. Fallow is the band's latest full-length LP, which is slated to be released via Halo Of Flies and Alerta Antifascista records on April 1st, 2018. On Fallow, Morrow offer up five tracks of epic, crushing, and hauntingly atmospheric emotive crust and neocrust accentuated by hauntingly beautiful dark folk music. Overall, Fallow makes for an amazing listen and definitely should not be missed. Highly recommended! Enjoy! This band is so freaking good.